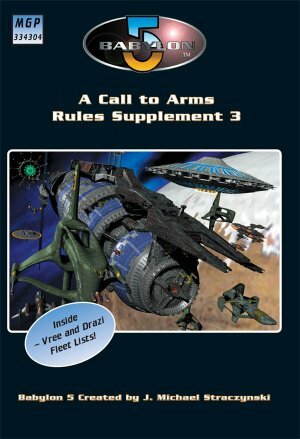 More rules and scenarios for your games of A Call to Arms, all neatly bound into one handy package! Rules Supplement 3 presents more ways to expand your games with articles on topics such as advanced refits and other duties, allowing you to gain rewards in campaign games that are specific to your fleet. We present the advanced fleet lists for the Drazi and Vree fleets, making this an essential Rules Supplement you will not want to miss! All this and much more packed into 48 pages!